N 38° 15' 43" and W -0° 42' 3"
Elche in Alicante (Valencia) with it's 230,112 residents is a town located in Spain about 219 mi (or 352 km) south-east of Madrid, the country's capital place. Time in Elche is now 11:25 AM (Friday). The local timezone is named Europe / Madrid with an UTC offset of 2 hours. We know of 8 airports nearby Elche, of which one is a larger airport. The closest airport in Spain is Alicante International Airport in a distance of 8 mi (or 13 km), East. Besides the airports, there are other travel options available (check left side). There are several Unesco world heritage sites nearby. The closest heritage site in Spain is Palmeral of Elche in a distance of 77 mi (or 124 km), East. We collected 9 points of interest near this location. Need some hints on where to stay? We compiled a list of available hotels close to the map centre further down the page. Being here already, you might want to pay a visit to some of the following locations: Aspe, Monforte del Cid, Novelda, Dolores and Catral. To further explore this place, just scroll down and browse the available info. Let's start with some photos from the area. 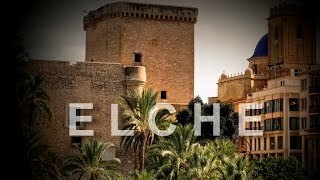 Elche, magnífico lugar. 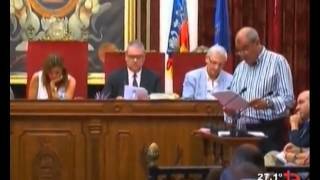 ¡Compártelo y deja un comentario si te ha gustado! Grabado un 30 de enero de 2015. ELCHE C.F. 2 - Hercules 2 Jornada 15 Temp. 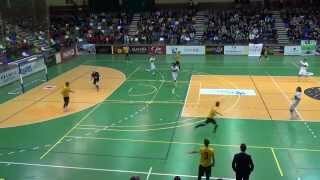 2014/15 (16.01.15) Goles: 1-0, Juanjo, min. 17; 2-0, Kiwi, min. 35; 2-1, Juanito (p.), min. 37; 2-2, Gabri, min. 39. 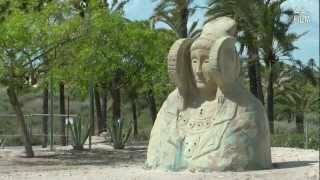 Encuentro entre el Cristo de la Agonia y Maria Santisima de la Amargura, en el ayuntamiento de Elche. ELCHE C.F. 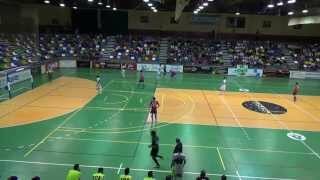 3 - JUMILLA MONTESINOS 2 1/16 COPA DEL REY TEMPORADA 14/15. Located at 38.0964, -0.675658 (Lat. / Lng. ), about 12 miles away. The Miguel Hernández University of Elche (UMH, Spanish: Universidad Miguel Hernández de Elche, Valencian: Universitat Miguel Hernández d'Elx, Latin: Universitas Miguel Hernández illicitana), is a Spanish Public University, open to the world, offering prestigious education, excellent research, and quality services facilitating the comprehensive development of its students and their insertion into the labor market. 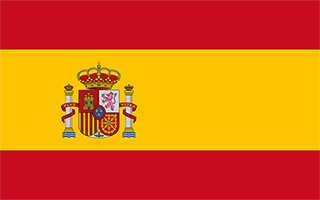 It is located in the province of Alicante and was established in 1996. Located at 38.275, -0.684167 (Lat. / Lng. ), about 1 miles away. The Baix Vinalopó is a comarca in the province of Alicante. It is bordered by the comarques of Vinalopó Mitjà and Alacantí on the north and Vega Baja del Segura on the south. 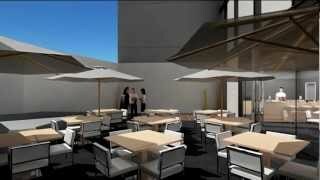 Its capital is the city of Elx/Elche, with a population of some 230,000 people live. The other major towns in the comarca are Crevillent and Santa Pola. Located at 38.2617, -0.703056 (Lat. / Lng. ), about 0 miles away. 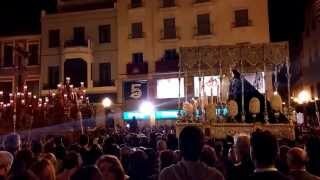 The Misteri d'Elx (in English the Elx Mystery Play or Mystery Play of Elx) is a liturgical drama dating from the Middle Ages, which is enacted and celebrated in the Basilica de Santa María in the city of Elx/Elche on 14 and 15 August of each year. 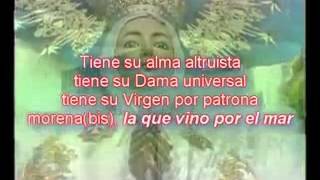 In 2001, UNESCO declared it one of the Masterpieces of the Oral and Intangible Heritage of Humanity. It commemorates the Assumption of Mary. Located at 38.2669, -0.698333 (Lat. / Lng. ), about 0 miles away. The Estadio Manuel Martinez Valero is located in the city Spanish in Elche in Alicante, Spain. It is a sports arena that houses matches of Elche CF, a team that is currently playing in the Liga Adelante (Spanish Second Division). Its name pays tribute to the late president of the club Elche, Manuel Martinez Valero. It hosted the largest rout in the finals of a World Cup and hosted the final of the Copa del Rey in 2003. Located at 38.2669, -0.663333 (Lat. / Lng. ), about 2 miles away. The Palmeral of Elche is a plantation of palm trees in the Spanish province of Alicante. It is the largest palm grove in Europe and one of the largest in the world, surpassed in size only by some in Arab countries. The Palmeral includes the Parque Municipal and many other orchards (huertos), covering over 3.5 km, including 1.5 km within the city of Elche (Elx). It contains more than 11,000 palm trees, mostly date palms, with individual specimens up to 300 years old. Located at 38.2694, -0.698333 (Lat. / Lng. ), about 1 miles away. Located at 38.3411, -0.549167 (Lat. / Lng. ), about 10 miles away. 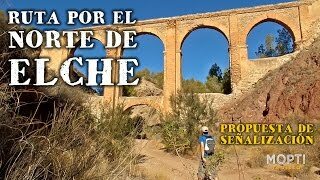 The Natural Park of El Fondo (Valencian: Parc Natural del Fondo, Spanish: Parque Natural de El Hondo) is located within the municipal boundaries of Elx/Elche and Crevillent both of which are within the comarca (district) of Baix Vinalopó in the south of the Valencian Community in the east of Spain. Both the rivers Vinalopó and Segura discharge into the lagoons that form this park. Located at 38.1819, -0.7525 (Lat. / Lng. ), about 6 miles away. Located at 38.1458, -0.645556 (Lat. / Lng. ), about 9 miles away. Located at 38.1, -0.833333 (Lat. / Lng. ), about 13 miles away. Located at 38.1, -0.716667 (Lat. / Lng. ), about 11 miles away. These districts belong to Elche. These are some bigger and more relevant cities in the wider vivinity of Elche.